Different representations of geometric objects will lead to different algorithms. Currently, ncollide relies a lot on convex shapes described by a support mapping. However, working exclusively with convex shapes is too restrictive so ncollide provides composite shapes that allows the construction of a concave shape from its convex parts. 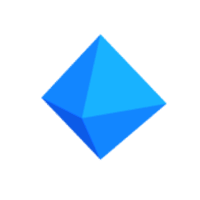 Geometric primitives supported by ncollide are defined on the shape module. They all share a common dynamic representation. Note that all geometric primitives have a predefined constant local frame equal to the identity matrix. Thus, one usually has to store a transformation matrix separately from the shape itself in order to reach any location and orientation. The support mapping function is exposed by the SupportMap trait. .support_point(m, v) Computes the support point (in the direction v) of the caller transformed by the transformation matrix m.
.support_point_toward(m, v) Same as .support_point(...) except that v is already a unit vector. Most basic geometric primitives like balls, cubes, cones, can be described by their support mappings. This allows a useful level of genericity for several geometric queries on ncollide. 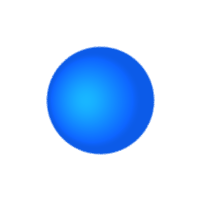 The Ball designs a disk in 2D, or a sphere in 3D, both centered at the origin. .radius() The radius of the ball. The Cuboid structure describes a rectangle in two dimensions or a cuboid in three dimensions. A cuboid is defined by its half extents, i.e., its half length along each coordinate axis. 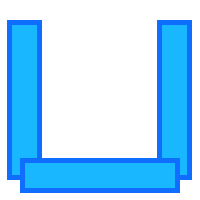 .half_extents() The half extents of the cuboid. The Cylinder structure describes a 3D cylinder with as its principal axis. .half_height() The half height of the cylinder. .radius() The radius of the cylinder basis. The Cone structure describes a cone of revolution in three dimensions. A cone is defined by the radius of its basis and its half height − the half distance between the basis and the apex. 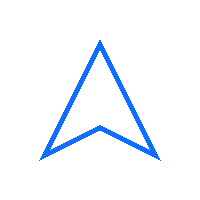 It points upward, its principal axis is the axis, and its apex has coordinates . .half_height() The half height of the cone. .radius() The radius of the cone basis. The Capsule structure describes either a rectangle with extremitis replaced by half-discs (in 2D), or a cylinder with extremities replaced by half-balls (in 3D). 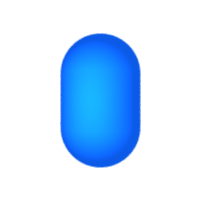 A capsule is defined by the half height of its rectangular/cylindrical part and the radius of its extremities. It is centered at the origin and its principal axis is the axis. .half_height() The half height of the capsule cylindrical part. .radius() The radius of the capsule extremities. 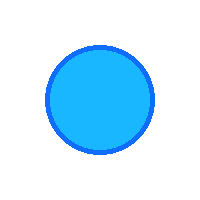 The ConvexPolygon (in 2D) and ConvexHull shape (in 3D) are created from a set of points using the ::try_from_points(points) constructor. Note that this explicitly computes the convex hull of the input point cloud. If you already computed the convex hull on your side, you may use ::try_new(...) instead (described later in this section). 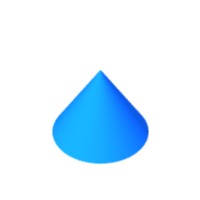 .points() The points used to create the ConvexHull shape. assert! (convex.points().len() == 4); // The convex hull has only 4 vertices. assert! (convex.points().len() == 6); // The convex hull has only 6 vertices. If you have the ability to provide the convex hull directly, you may use ::try_new(...) instead. It won’t compute explicitly the convex hull of the points but expect the input to describe one. In 2D, the given vertices are expected to be ordered such that they appear counterclockwise on the convex polygon boundary. 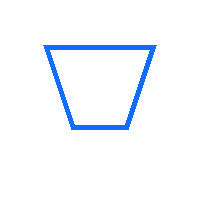 In 3D, the provided index buffer must be such that each triangle is properly connected to its neighbors and is oriented counterclockwise, i.e., given a triangle ABC, the cross product should result in a vector pointing toward the exterior of the convex polyhedron. Keep in mind that while those constructors will fail if the topology of the convex hull is invalid, or if it contains degenate faces, it does not check the convexity of the input. Therefore, ::try_new(...) may succeed even if your input is not actually convex. In that case, you may experience odd results for various geometric queries. 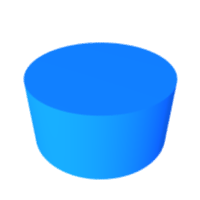 .nparts() The number of parts on this compound shape. .map_part_at(i, f) Applies the closure f to the i-th part and its local transformation matrix. .map_transformed_part_at(i, m, f) Applies the closure f to the i-th part and its local transformation matrix with m appended to it. .aabb_at(i) The AABB of the i-th part of the composite shape. .bvt() The space-partitioning acceleration structure used by the composite shape. The requirement to use a BVT for space-partitioning is extremely restrictive and will be replaced by a more flexible system in the future. Currently, three composite shapes are available on ncollide. The Compound describes the union of any shape supported by ncollide. The TriMesh and the Polyline are dedicated to assemblies of triangles and segments. The Compound structure is the main way of describing concave shapes from convex ones. It is a set of any shape handle. .shapes() The shapes composing the compound. .bounding_volumes() The AABB of the shapes composing the compound. .bvt() The space-partitioning acceleration structure used by the compound. Initialize a vector of shape handles with their positions and orientations relative to the origin. Call Compound::new with this vector. // 1) Initialize the shape list. // 2) Create the compound shape. The Polyline structure describes a set of contiguous segments. It is constructed from arrays of vertices, each vertex being linked to its adjacent elements on this array. 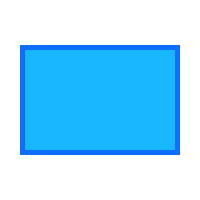 .bounding_volumes() The bounding volume of each primitive (segment or triangle). .bvt() The space-partitioning acceleration structure used by the polyline. Point2::new(0.0, 1.0), // This forms a loop. Point3::new(0.0, 1.0, 0.0), // This forms a loop. The TriMesh structure is only available in 3D and describes a mesh of triangles. It is constructed from arrays of vertices and indices describing its triangles. It is also possible to provide one texture coordinate per vertex; those are not used for contact determination but are useful for, e.g., ray-tracing applications. .indices() The index buffer of a TriMesh. .uvs() The texture coordinates buffer. 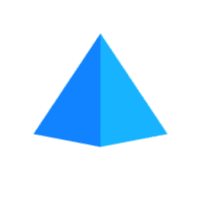 .bounding_volumes() The bounding volume of each triangle. .bvt() The space-partitioning acceleration structure used by the mesh. Some shapes do not fall into any of the general categories described above. The Plane structure describes a solid closed half-space. The border of a plane contains the origin and is characterized by its normal. Every point that has a negative or null dot product with the plane normal is considered inside of it. Other points are outside of the plane. .normal() The unit normal of the plane. In order to select the right algorithms for geometric queries on specific shapes, ncollide has to be able to distinguish at runtime different shapes from their types and they capabilities. As described by another chapter of this guide, there are two kinds of geometric queries: those that operate on a single shape and those that operate on two shapes simultaneously. In the first case, runtime algorithm selection is performed with the help of traits which can be easily implemented for user-defined shapes and exposed at runtime by a Shape trait-object. On the other hand, queries involving two shapes require more complex dispatch mechanisms that are not yet customizable by the user. Elements to inspect shape representation and capabilities are provided for each shape by implementing the Shape trait. The ShapeHandle structure is nothing more than a Shape trait-object wrapped into an Arc. .aabb(m: &Isometry<N>) The AABB of the shape transformed by m.
.bounding_sphere(m: &Isometry<N>) The bounding sphere of the shape transformed by m.
.subshape_transform(i: usize) If the shape is composite, the local transform of its i-th part. .as_ray_cast() Converts self to a RayCast trait-object. .as_point_query() Converts self to a PointQuery trait-object. .as_convex_polyhedron() Converts self to a ConvexPolyhedron trait-object. .as_support_map() Converts self to a SupportMap trait-object. .as_composite_shape() Converts self to a CompositeShape trait-object. 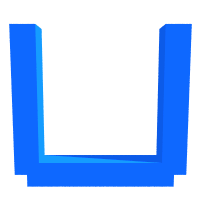 .is_support_map() Returns true if this shape has a support-mapping. .is_convex_polyhedron() Returns true if this shape has a ConvexPolyhedron representation. 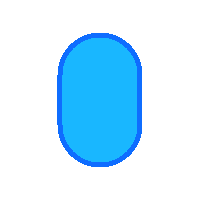 .is_composite_shape() Returns true if this shape is a composite shape. All the conversion methods have a default implementation returning None. This allows you to only partially implement the trait if some of those features are of no interest to you or even not applicable for your specific shape. For example it is extremely rare to implement both .as_composite_shape() and .as_support_map() as algorithms applicable to the latter will almost always be more efficient than for the former. Methods related to bounding volumes have default implementations as well except for AABB construction. AABBs are widely used throughout ncollide so their tightness is critical for good performances. Other bounding volumes are less used so by default they are deduced from the AABB itself. Those default implementations will unfortunately only result in very loose bounding volumes so it is advised to provide your own to ensure optimal performances. a: f32, // The first radius. b: f32  // The second radius. The solutions of this system are . Among those two solutions, the maximizer is the first one (with the leading sign). Now, we only have to code this into a SupportMap implementation for our Ellipse. // Bring `dir` into the ellipse's local frame. // Compute the support point into the ellipse's local frame. // Return the support point transformed back into the global frame. // Generic method to compute the aabb of a support-mapped shape. A Cuboid of width 4 and height 2. 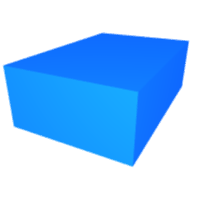 A Cuboid of width 2 and height 4. Because the two parts are very simple, we will generate them on-the-fly when needed by the user. Only the acceleration structure will be precomputed. // The shape indices paired with their corresponding AABBs. // Nedded to initialize the acceleration structure. // Helper function to generate the AABB bounding the i-th cuboid. // The AABB for the horizontal cuboid. // The AABB for the vertical cuboid. // Helper function to generate the i-th cuboid. Now we have to implement the CompositeShape trait. // The translation needed to center the cuboid at the point (1, 1). // Create the cuboid on-the-fly. // Prepend the translation needed to center the cuboid at the point (1, 1). // Compute the i-th AABB. // Reference to the acceleration structure. // This is far from an optimal AABB.